Fougère is one of the five main fragrance families, originating in the 19th century with Houbigant's famous 'Fougere Royale'. Fougere is a fantasy genre. The name comes from the French word for fern. As ferns don't have a strong scent, so too do notes like tonka, geranium, lavender and oakmoss. 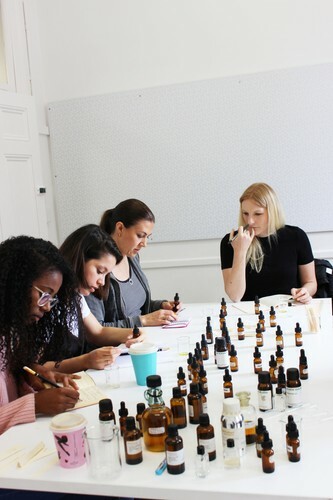 In this workshop we will look at the history of the fougere and study some of its materials, as inspiration to create your own herbaceous scent version of the famous genre to take home. Materials Included. Class: 10 max.